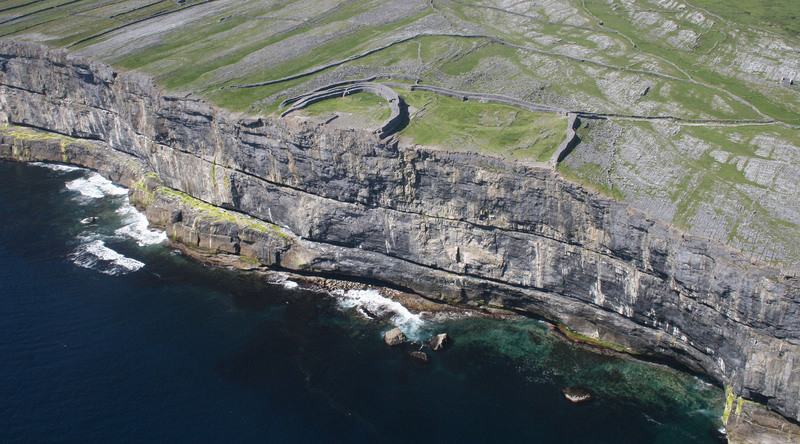 Inis Mor (Inishmore) is an ideal holiday destination with an abundance of high quality accommodation such as Bed and Breakfasts, Glamping, Hotels, Camping and Hostels. Cultural landmarks spanning thousands of years can be visited with ease by hiring a bike and taking a leisurely trip back through time. One can Participate in numerous quirky festivals such as the Father Ted Festival or the Red Bull Cliff Diving Competition. Inis Mor (Inishmore) is also well known as a spiritual destination and many participate in Pilgrimages throughout the year. Inis Mor (Inishmore) is also becoming a destination known for it’s dining options and Inis Mor (Inishmore) is not without it’s local pubs and nightly traditional music. The landscape of Inis Mor (Inishmore) has been hewn from limestone eroded over centuries by relentless Atlantic winter storms. Generations of islanders tending hard won fertile land have formed a patchwork of fields bounded by the dry stone walls typical on the western seaboard. Inis Mor (Inishmore) is home to a wide range of historic and prehistoric monuments, from the dramatic bronze age cliff top fortification Dun Aonghasa to the Teampull Bheanáin, said to be the smallest church in the world. 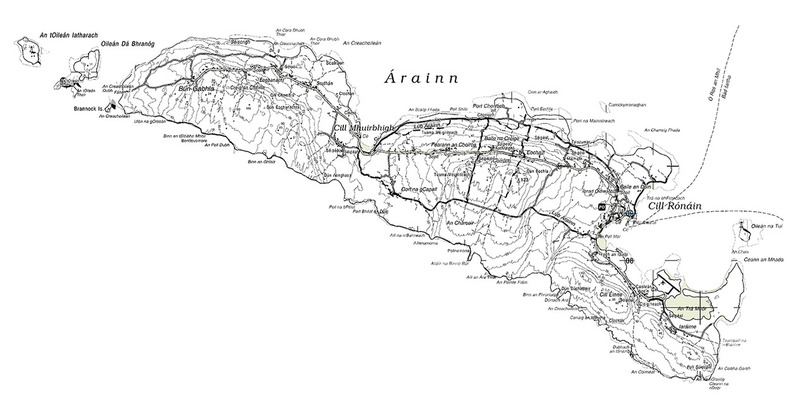 Inis Mór's Christian and Celtic Sites. 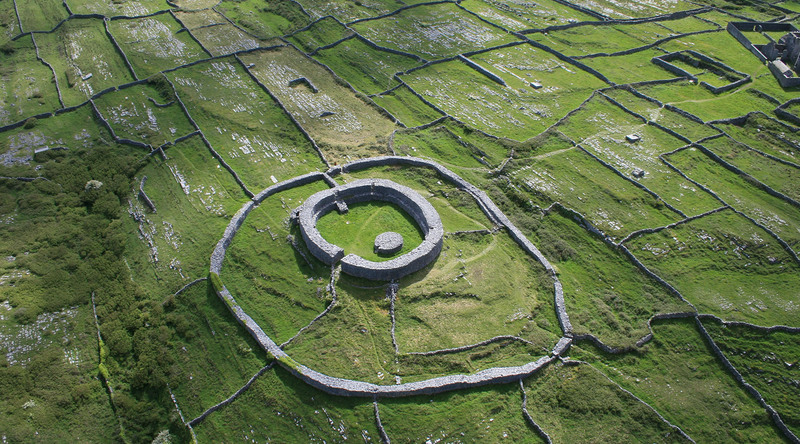 Inis Mór has an abundance of Historically important Christian and Celtic sites. Each one has it’s own story to tell. 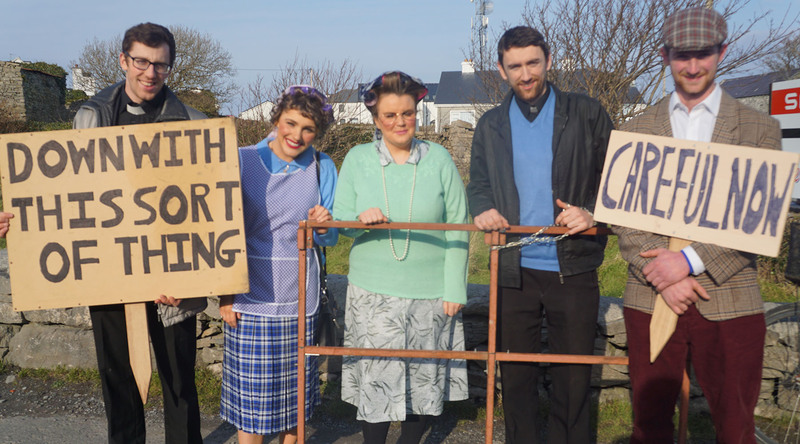 Inis Mor has an abundance of organized festivities ranging from quirky festivals to nightly traditional music.